There is a technical revolution taking place today. Transport has broadly been run on liquid hydrocarbons the last 130 years. This is about to change. In the small country of Norway, every third new car sold is an electric vehicle and the world’s first electric ferry is crossing a Norwegian fjord 34 times every day. We are thus presently in the forefront of this change. India is a big country. In every sense of the word. The Indian population is set to surpass China and become the largest in the world in the years to come. With a population of such a magnitude, many of India’s choices going forward will have global implications, also for Norway. It will come down to big countries like India, if this mounting wave will bring about the transformation in transportation that will save our planet and create business opportunities for all. Norway is currently the world’s demonstration project for green transport solutions. We have the highest EV penetration rate in the world. Nearly 40% of new cars sold are EVs. Infrastructure, technologies and solutions are being developed, tested and assessed in Norway. Valuable lessons have been learnt from looking at customer behaviour. For example, the fear of running out of battery power, or range anxiety, has been highlighted as a barrier to EV uptake. While many drivers experience range anxiety at first, this fear quickly subsides. In fact, only 4% of Norwegian EV drivers report having run out of battery power. Businesses and governments from all over the world are looking to Norway to gain insights into how the beginnings of a mass market for EVs functions in practice. But how did Norway achieve this? It is the result of targeted and stable transport policies. Firstly, we have a clear goal of selling only zero-emission vehicles and buses by 2025. Secondly, we give tax exemptions to EVs and shift the tax burden to combustion engine cars instead. And thirdly, we invest in EV infrastructure, having built 8,755 charging stations – 1 per 21 electric or hybrid cars. While the development of EVs are gaining attention, there is still little talk about transport on seas and rivers. Norway is a maritime nation with longstanding traditions of shipbuilding and offshore activities. We have been a global leader in pushing for higher environmental standards in shipping. The Norwegian ship building industry and shipping industry is now taking steps to develop a new fleet of environmentally friendly ships. The new ships will use the same technology as an electric car but with a battery the size of a storage container, or a combination of battery power and liquid natural gas (LNG), or some other cleaner-burning fuel such as hydrogen. Right now, we have the world’s first battery driven ferry operating a passenger ferry route crossing the Sognefjord in Norway. The power consumed by the MS Ampere for a single crossing of 6 km costs about Rs 400 – the equivalent of a cup of coffee at Starbucks, and yet it’s enough to transport 360 passengers and 120 cars. For longer distances, ships fuelled by LNG are an important alternative. Norway has the world’s largest fleet of LNG ships. The environmental benefits are massive compared to diesel-fuelled ships – 30% lower CO2 emissions, 85% lower NOx emissions and absolutely no particulate emissions to pollute the air. The number of vehicles on Indian roads is projected to grow from over 160 million to over 550 million in 2030. This begs the question: Will these cars run on diesel, or will they be electric? In order to service 390 million additional cars on the roads, new infrastructure must be developed. Will there be new gas stations built, or charging stations? For India and for the rest of the world, there is a big difference between these two choices. There are certainly positive signs that India intends to go green going forward. An ambitious target has been set: 100% of new vehicles sold will be electric by 2030. We believe India should set a similar ambitious target for their shipping fleet. In this country, you also have vast stretches of rivers and canals. The government’s focus on moving freight on ships on these inland waterways, rather than by trucks on the highways, could reap huge environmental benefits, both in terms of reducing local air pollution and reducing greenhouse gas emissions. Greening the Indian transport sector will boost India’s energy security by becoming less reliant on imported oil. Currently, India spends over $235 million a day on oil imports. 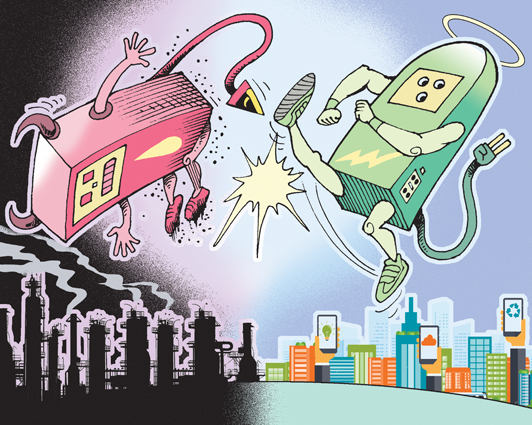 Increasing the share of electrical vehicles, especially in the big cities, will also help reduce the lethal smog encapsulating many Indian cities every year. According to the renowned medical journal Lancet, over 2.5 million Indians die every year because of the toxic air. While the wave of greener transport solutions is gaining momentum in Norway, we need the weight of big countries, like India, to make it a tidal wave. Norway is eager to support India in this endeavour. Local authorities will also receive funding for charging stations in Taranaki, Waikato and the King Country. “This is really about making sure we’ve got coverage around the country in terms of infrastructure,” Energy and Resources Minister Megan Woods said during the announcement. Tourism Holdings will receive $402,000 to convert an electric van into a campervan, aiming to have 20 electric campervans on the road within a year. “New Zealand sells itself to the world as a clean, green paradise,” Woods said. The Motor Tourism Training Organisation will receive $95,000 to develop a qualifications framework for technicians working on electric vehicles. There is currently no NZQA-registered qualification for this work, and Woods said the new framework will be critical in preparing the workforce for the transition to a low-carbon economy. Electric freight vehicles also had potential to cut into domestic carbon emissions, and a $500,000 grant will go to CODA, in partnership with Zero Emission Vehicles and Bay Dairy, to design and build a 58-tonne electric freight truck for Fonterra. The announcement was made at Zealandia eco-sanctuary in Wellington, which will receive $118,137 to replace its diesel buses with two electric mini-buses. “It’s all about reducing emissions, sure, but it’s all about the liveability of our cities, the places where we live, and the healthiness of them,” Zealandia chief executive Paul Atkins said. Woods said the funding was conditional until contracts are prepared and signed. Labour’s coalition agreement with New Zealand First includes a promise to have the Government’s vehicle fleet, where practicable, emissions-free by 2025/26. Woods said the progress of that work will depend on existing Government contracts. • Evincible – $263,450 – to co-ordinate the rollout of a battery electric courtesy car and associated charging station for 25 automotive workshops, giving people the chance to test drive an EV while their car is being repaired or serviced. • Tranzit Group – $397,500 – to invest in permanent drive-through charging stations for buses at the Wellington Railway Station bus interchange, capable of charging four buses simultaneously. Ohomairangi Trust – $75,000 – to buy six EVs for its teachers, therapists and specialists to use visiting whanau. Kerikeri Village Trust – $67,250 – to buy four EVs to establish a car share operation for use by residents and staff and install a public charging unit in Kerikeri. With the new coalition Government holding the reins there seems to be a widespread belief that heavy trucks will be tossed off our roads and freight moved by rail instead. Unfortunately that’s almost certainly not going to happen, for a variety of reasons. The most compelling is the expected growth in freight. A national freight demand study reckons total freight moved in 2017 was about 260 million tonne, growing to 354 million tonne by 2037. About 7 per cent of that is now moved by rail. If rail tripled its share of freight by 2037 there would still be 20 million tonne of the growth to be handled by trucks. That’s 8 per cent more than carted by trucks this year, meaning more, or larger, trucks on the road. Almost everyone in the freight industry agrees that coastal shipping, rail and road transport all have roles to play in freight movement. Freight forwarders such as Mainfreight are already among the highest users of rail. However, the very nature of freight movements around New Zealand make it almost impossible for rail to double, let alone triple, its share of the task. In the early colonial days most freight was carted on river boats and coastal ships. After the first railways were built in 1863 it soon became obvious trains could move freight to more places than boats could, without being hampered by wind and tide. Now coastal shipping moves about 2 per cent of freight. After World War I trucks became increasingly efficient at moving freight and the Government, which of course owned the railways, began in 1931 to introduce measures to protect rail freight, culminating in Bob Semple’s 1936 ban on trucks carting more than 30 miles (50km). Protection of rail was scaled back in 1977 and abolished in 1983. One of the hurdles to a rail comeback is that heavy trucks – over 3500kg loaded weight – have become increasingly specialised. There is little opportunity for trains to replace concrete agitator trucks, for example. Although there is a very efficient railway line from the gigantic Kaingaroa Forest to the Port of Tauranga, there’s probably no other log cartage operation with sufficient scale to replace trucks. Livestock trucks, fertiliser trucks, fuel tankers, milk tankers and many other trucks operate miles from any railway line. Then there are delivery trucks, from the big tractor/semi-trailers delivering to supermarkets to little four-wheelers dropping off a new fridge. Or trucks taking supplies to rural centres too small for a railway line to be economic. In fact of the 132,000 heavy trucks on the roads, only 23,000 are operated by the road freight industry. Put another way, just 19 per cent of freight is general freight and when distance is taken into account, just 8 per cent of the annual tonne/km carted is general freight. The biggest proportion, 29 per cent, is manufactured and retail goods, followed closely by logs and dairy. Rail and coastal freight are best at carting bulk freight that is not time-sensitive over long distances. New Zealand’s small, widely dispersed population restricts opportunities for that. I once sat at a level crossing in North Carolina as an extremely long train passed, carting only orange juice from Florida, probably to New York. That one train probably contained more than New Zealand’s annual consumption of orange juice. There are other handicaps, too. For example, the most efficient freight trains in the United States cart shipping containers two high. New Zealand’s small rail tunnels don’t allow that. 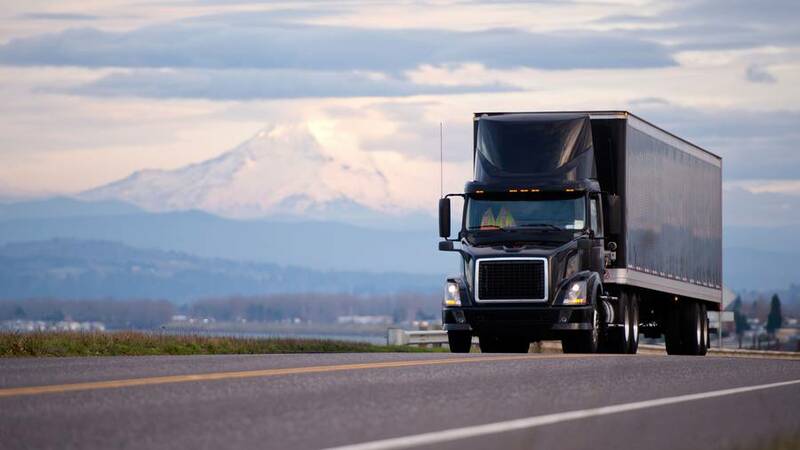 Another issue is that while modern freight handling systems have greatly reduced damage and loss of goods, most problems arise during loading and unloading. Most rail freight has to be carted to and from the train by trucks, which means three times as many handling events compared with a single truck journey. Just as in the 1880s trains took over from boats because they could cart freight to more places more quickly, trucks have since overtaken rail for the same reason. The combination of an expanding freight task and the difficulties rail faces in increasing its share mean we’re more likely to see more trucks on our roads than fewer. • Jon Addison is a retired journalist who specialised in commercial vehicles and road transport for 30 years. Suggesting the Government was not going ahead with roading projects which do not exist is misleading, a spokeswoman for Transport Minister Phil Twyford says. Responding to National Party transport spokeswoman Judith Collins claims the Government was diverting financing, Mr Twyford’s spokeswoman said the New Zealand Transport Agency had advised funding for road upgrades could not be redirected into rail. “National’s concerns are unfounded. The Mill Rd Corridor upgrade is an Auckland Transport project and planning is continuing. Mr Twyford’s spokeswoman said it was important to note the other “highway projects” referred to in National’s petition did not exist. They were election campaign promises made by National in August last year and never costed or funded. Ms Collins launched national petitions yesterday aimed at saving national regional highway projects. Regional highway projects were at risk because of the Government’s obsession with Auckland trams, she said. More National Party MPs joined Ms Collins’ campaign today, strengthening what could be an early tilt at the party leadership if leader Bill English decides to stand down. They are David Bennett (Hamilton East), Andrew Falloon (Rangitata), Todd Muller (Bay of Plenty), Scott Simpson (Coromandel), and Simon Bridges (Tauranga). Ms Collins and Messrs Muller and Bridges are seen as likely challengers. Ms Collins said National committed to a large number of important regional highway projects throughout New Zealand as the next stage in the successful Roads of National Significance programme to build a modern highway network. The roads would improve safety and travel times, better connect regions and boost regional economic growth. Ms Collins said the Transport Minister now had several of those projects under review. To ensure the voice of each region was heard, National was launching a series of petitions so the public could show the Government how important the projects were, she said. Each MP responsible for their road would be taking their online and physical petition to present to the Government later this year. • Upgrade of Redoubt-Mill Rd from Manukau and Flat Bush to Papakura and Drury. • Extension of Waikato Expressway from Cambridge to Kaimai Range, and from Cambridge to Tirau. • Continuous four-lane extension of Northern Motorway from Warkworth to Whangarei. • East-west link road between Onehunga-Penrose industrial area and State Highways 1 and 20. • Tauranga to Katikati Rd as continuous four-late state highway. • Four-laning of Napier to Hastings Expressway. • Otaki to north of Levin expressway. • Christchurch Northern Motorway between Belfast and Pegasus. • Four-lane SH1 link between Christchurch and Ashburton. The National Party is launching a series of petitions to drum up support for major highway projects which it says are at risk of not going ahead. The government derided the move as “misleading” and “nonsensical” and said National never costed or funded many of the promised roads. National’s transport spokesperson Judith Collins said the Labour-led government had wrongly thrown many crucial transport links into doubt. “Don’t keep saying you’re not committing. Tell us what you want to do,” she said. The government had already scrapped plans for Auckland’s contentious East-West motorway link and was reviewing other projects around the country. A Minister of Transport spokesperson said the government had not altered any existing roading project other than the East-West link. “The Mill Road Corridor upgrade is an Auckland Transport project and planning is continuing. “It important to note that the other ‘highway projects’ referred to in National’s petition do not exist. They were election campaign promises made by National in August and never costed or funded. Ms Collins said the projects had been put at risk by the government’s “obsession with Auckland trams”. A spokesperson for the Minister of Transport said that concern was “unfounded” however, because funding for road upgrades could not be redirected into rail. National MPs will present petitions to the government later this year. Tauranga MP Simon Bridges and Hamilton East MP David Bennett will head the petition to extend the link between the Bay of Plenty and Hamilton. Bay of Plenty MP Todd Muller and Coromandel MP Scott Simpson also announced their campaign championing the Katikati-to-Tauranga four-lane Road of National Significance. Rangitata MP Andrew Falloon is spearheading the petition to extend the highway between Christchurch and Ashburton to four lanes. Thirty-two people are missing after an oil tanker collided with a cargo ship off China’s east coast, near Shanghai. 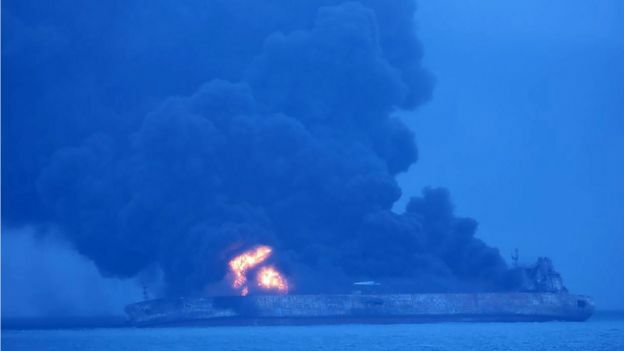 The Sanchi tanker, carrying 136,000 tonnes of Iranian oil worth $60m (£44m), caught fire after the crash and has been burning for nearly 24 hours. China’s ministry of transport said the crew – 30 Iranians and two Bangladeshis – were missing, with rescue efforts hampered by the fierce blaze. “Sanchi is floating and burning,” the ministry said in a statement. The 21-strong crew of the cargo ship were rescued, the ministry said. 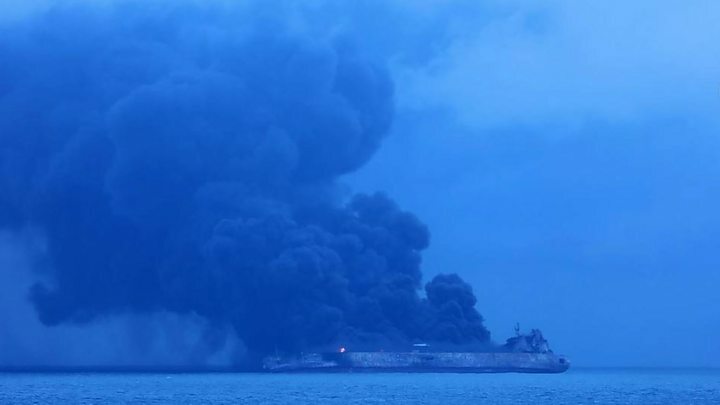 Poor weather and plumes of smoke rising from the tanker are making rescue attempts difficult, Mohammad Rastad, the head of Iran’s Ports and Maritime Organisation, told Iranian television. It is the first major accident involving an Iranian oil tanker since international sanctions limiting the country’s oil exports were lifted in January 2016. “This is a big spill,” oceanographer Dr Simon Boxall told the BBC. “Potentially the entire load, 136,000 tonnes, could end up in the ocean, and that would put this in the top 10 spills of all time, so it is significant,” he said. The collision happened on Saturday night, about 160 nautical miles (296 km) off the coast of Shanghai. Eight Chinese ships have been sent to carry out the search-and-rescue operation, China’s official Xinhua news agency reported. South Korea has also sent a coastguard ship and a helicopter to aid the relief effort. The tanker had been sailing to Daesan in South Korea from Kharg Island in Iran, according to Reuters ship tracking data. It was carrying a cargo equivalent to slightly under a million barrels. The Hong Kong-registered cargo ship, CF Crystal, was carrying 64,000 tonnes of grain from the US to Guangdong province in southern China. Its rescued crew were all Chinese nationals, the country’s transport ministry said. The world’s largest vessel, Shell’s recently delivered floating liquefied natural gas (FLNG) vessel, was completed after five years of construction at Samsung Heavy Industries’ South Korea shipyard. The vessel, measuring 1,600 feet in length and displacing as much water as five aircraft carriers, was then towed to Australia, specifically to Shell’s Prelude field, roughly 125 miles north of the Western Australian coast, CNBC reported. In 2018, the Prelude will begin its job of extracting and processing natural gas at sea, Kallanish Energy learns. The gas will be pumped up from below the seabed to the floating platform, where it is then cooled. Liquefied natural gas carriers, serving Asian customers, will then pull near the Prelude and fill their massive storage tanks with LNG chilled to -260 degrees Fahrenheit. Despite its ship-like appearance, the Prelude is not in the strictest sense a ship as it carries no propulsion power and must be towed to its destinations, according to CNBC. Its ability to produce and offload gas to large carriers eliminates a need for long pipelines to land-based LNG processing plants. The FLNG technology is also applauded for the ability to be used at various remote locations. However, the increase in cheap gas primarily because of U.S. shale technology has left some industry watchers questioning the current value of an expensive offshore facility. In 2016, Shell itself decided not to pursue a further three FLNG projects with Samsung, CNBC reported. Shell says it will produce at least 5.3 million tons per annum (MTPA) of liquids, including 3.6 MTPA of LNG, 1.3 MTPA of condensate and 0.4 MTPA of liquefied petroleum gas. The ship has a deck longer than four soccer fields and storage tanks that would fill 175 Olympic-sized swimming pools, according to CNBC. Longer than the Empire State Building, Prelude also measures 211 feet — as wide as the wings on a Boeing 747. Shell has never disclosed how much the vessel will cost, but industry analysts told Reuters its price would range between $10.8 billion and $12.6 billion. As one of China’s largest ports, Shanghai Port started container transportation in 1978 with a handling capacity of 7,951 TEUs that year. The port’s throughput exceeded 30 million TEUs in 2011. In December 2017, Shanghai Yangshan Deep Water Port, the world’s biggest automated container terminal, started trial operations. The project uses automated handling equipment designed and manufactured in China, as well as a domestically developed automated management system. It has helped consolidate the port’s standing as the world’s busiest container port and supported Shanghai’s efforts to become a world shipping center.